A beloved family member comes back into the fold a changed man. He's withdrawn, apathetic towards the church, and has developed a fondness for philosophical pontificating and fancy books. Could he be... a RED?? 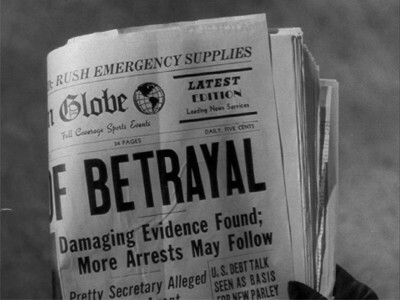 That's the gist of the infamous anti-Communist paranoia flick My Son John (1952), which counts as the latest in Olive Films' great unearthing of lesser-known vintage Paramount productions on home video. For a film with such a terrible reputation (the studio has mostly kept it out of circulation, seemingly since its original release), My Son John isn't as bad as what you might initially believe. That doesn't make it a good or even mediocre film, however. One gets a strong sense that director-screenwriter Leo McCarey (The Awful Truth) had only the best intentions in mind for this project - a cautionary tale of what might happen when subversive beliefs worm their way into a typical all-American family. 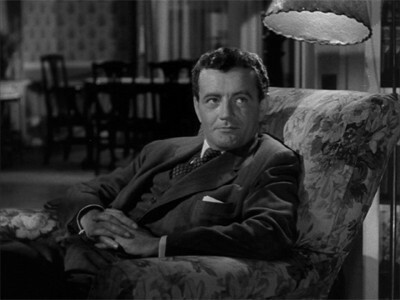 The end result, however, came out different from what the filmmakers intended, due to a lethal combo of unforeseen tragedy (star Robert Walker died during the film's production) and overstating its message to a ridiculous degree (a script that makes the decent-hearted, devout characters appear more neurotic than the "tainted" lead). The film begins with a flurry of activity as sturdy midwesterner Dan Jefferson (Dean Jagger) and his flighty but loving wife, Lucille (Helen Hayes), prepare a farewell dinner for their two Army-enlisted sons as they get ready to be shipped off to Korea. The dinner comes off well except for the no-show of the couple's other son John (Robert Walker), who made a break from the town's insularity by pursuing a career in Washington D.C. Clearly this send-off was a big deal to this church-loving, close-knit family, which makes John's absence all the more vexing. When John finally does make an appearance, he's a navel-gazing shell of his former self who avoids the church, buries himself in books and has prickly conversations with his flag-waving, lodge member dad. Although Lucille's generosity and faith in God has been a source of strength for the family, John's strange behavior takes a hit on her already fragile system (she has a heart condition, but prefers to stow away the pills she's prescribed in a jar in the kitchen). The tensions in the family escalate when the parents literally collide with Stedman (Van Heflin), a suspicious outsider in the town. When it becomes apparent that he's there to track John's activities, Dan and Lucille reach a breaking point. After it dawns upon the dim couple that John may in fact have turned into a Communist, the formerly homebound Lucille decides to travel to D.C. to meet with Stedman and reveal for herself the horrible truth about her son. My Son John is a deadly serious film with a then-powerful message that undoubtedly struck a deep chord in McCarthy-era Hollywood. Leo McCarey botched it big time with this effort, however. Even if one were to take its dated/hysterical premise seriously, the project's disjointedness and plodding, earnest dialogue (the kind that strains to sound casual but ends up coming across like bad Off-Off-Broadway theatre) place it more in filmdom's "fascinating flop" section. Robert Walker contributes a fine, thoughtful performance, one that was derailed by him dying partly through the production. Several of his character's scenes were patched together with doubles and footage of the actor from Strangers on a Train, giving the film a slipshod feel that it never recovers from. It's overlong, preachy and top-heavy with scene after scene of dreary domestic squabbles. Surprisingly, My Son John does boast a few nice scenes where McCarey accurately portrays the simple goings-on in a country town, but the story soon becomes a muddled and hysterical mess riddled with stock characters and bad performances. 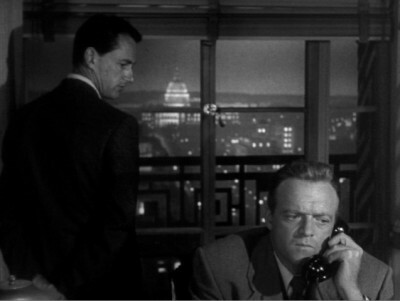 While Van Heflin does a fine job as the F.B.I. agent, his character is pretty much a stereotype. Dean Jagger plays the dad like a standard-issue dolt, a glad-handing patriot too enamored of his own social obligations to notice what's going on around him. 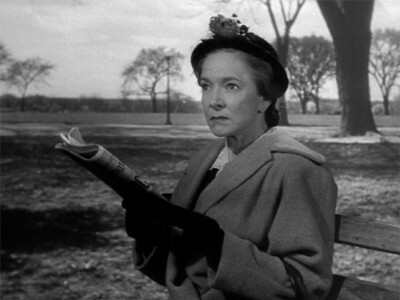 Nothing can prepare the viewer, however, to the awfulness of Helen Hayes as John's busybody mother. Not a particularly appealing character in the first place, Hayes' approach amplifies the woman's neuroses until she becomes a parody of a sanctimonious, meddling mama from hell. It really is astonishing how bad she is. Probably the most galling aspect to My Son Jon is the idea that it casts suspicion on the John character for being an intellectual and actually having an interest in matters outside his family's insular, Christian-centric universe. It's bizarre. Leo McCarey was certainly capable of writing multi-dimensional characters, even religious folk with human qualities like Bing Crosby's hepcat preacher in Going My Way and The Bells of St. Mary's. In this film, the smart characters have something to hide while the devout seem almost noble in their willing ignorance. While the film's fevered anti-Red hysteria comes across like the quaint relic of another era, its portrayal of the intellectuals vs. the religious is something that unfortunately resonates to this day. Olive Films' DVD of My Son John uses a decent looking print of the film in a handsome, well-balanced transfer. The picture has its share of age-related detritus, with several overly grainy shots which were likely present in the original print. There's also a few dark scenes, but overall the picture looks all right. The film's original mono soundtrack is preserved here in a good mix that doesn't have too much hiss or flaws. No subtitles on this no-frills release. No extras, with only scene selections present on the disc's blandly-designed menus. Anti-Red opus My Son John sounds like it could have been a kitschy hoot; in reality it's a leaden-paced bore with cardboard characters and a choppy plot. The committed work of Leo McCarey and actor Robert Walker can't save it from being an ill-conceived curio that is overburdened with brain-melting notions about patriotism and the true meaning of being an American. Michelle Bachmann would probably dig it, others should rent it before committing to buy.